Motorola’s Droid RAZR HD LTE is one of the most popular device available from verizon. It has a reason that justifies that. The device sports a display resolution of 1280×720. Comes with an 8 megapixel camera, a 1.5GHz dual core processor and a Gigabyte of RAM. The devices was shipped with Android version 4.0 Ice Cream Sandwich with it, has now official Jellybean OTA reelased. 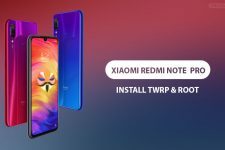 So if you own one of this beast device, has managed to root it and want to play further with the device and install custom roms on the device, you need to have a recovery first. We are presenting you a way to flash the TeamWin Recovery Project’s recovery(TWRP). 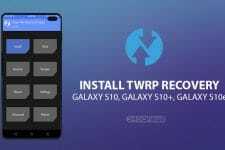 If you are not familiar with TWRP, here’s a short intro about twrp from its creators, “TeamWin Recovery Project, or twrp for short, is a custom recovery built with ease of use and customization in mind.” The recovery does the job same as CWM would do but with a nicer interface and some added features. Disclaimer: Please proceed at your own risk, droidviews cannot be held responsible if you damage your device during the process. If you are rooted, you have already given up on your warranty! This method will only work on a Windows-based PC. Download the fastboot file and save it somewhere, say Desktop. Extract the fastoot archive into some folder, you will get a fastboot.exe and some other files. 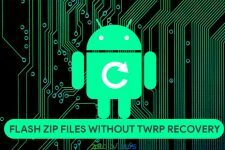 Download the TWRP recovery image file and put it inside the extracted folder mentioned above. This will not work if you did not put the fastboot.exe and recovery image file in the same folder. Now you have to reboot your device into fastboot mode. To do that, press and hold Volume Up + Volume Down + Power button together. Scroll down to ‘AP Fastboot’ with Volume Down key and select it by pressing Volume Up key. Open the folder where you put the fastboot and recovery files.